The Window Doctor Anglia Ltd - Fascia/Soffits/Guttering, Locksmith, Windows/Doors/Conservatories based in Wisbech, Cambridgeshire. 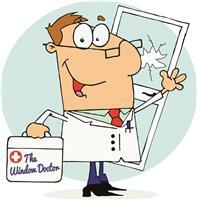 The many years of success of The Window Doctor have been based on some simple, straightforward but cherished standards. Use only top quality materials from leading manufacturers to guarantee long-lasting value for customers. Provide informed support to customers before, during and after every installation. Ensure standards of excellence at all times in advice, design, materials, installation and customer service. The Window Doctor offers high spec options for new installations and high-level solutions if you need windows, doors or conservatories repaired, replaced or remodelled. Pricing is always competitive and consultation time is freely given so that every project is fully considered and agreed before any work begins. If you are a homeowner, property owner, landlord, developer, commercial property manager, architect or builder you will receive all the benefits of advice from highly experienced, qualified professionals who take pride in providing windows, doors and conservatories which combine the latest technology, energy conservation, choice and quality. The Window Doctor will visit you at your property, whatever it is, so the best possible understanding of every element of the work you are planning to have done – no matter how large or small – is fully considered ‘in situ’. This is why you can be sure that the advice and recommendations you are given will be perfect, well-priced and long-lasting. You will receive the same personal, on-site consultation if you have an office, shop or public area which would benefit from any of the many options The Window Doctor will discuss with you – and with the level of guarantees and on-going servicing and maintenance support available to you, a visit from the Window Doctor will make sure your investment pays for itself over the years.